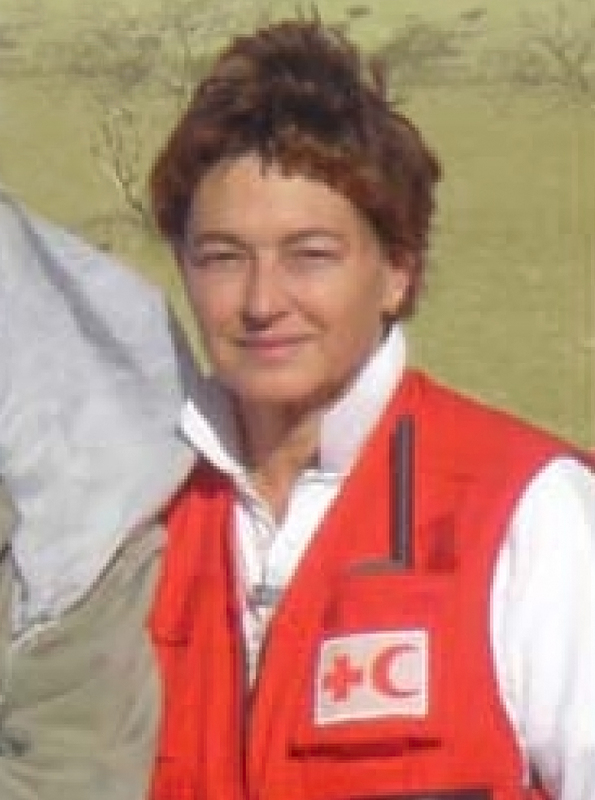 Two weeks after the devastating earthquake in Haiti, Marietta resident and International Red Cross volunteer Brigitte Gaillis, along with other Red Cross volunteers, is busily attending to the emergency needs of those who survived the disaster. As days stretch to months, however, Gaillis and other Red Cross leaders will begin looking ahead for long-term solutions to help rebuild the Caribbean country. Temporary shelter and food are the top priorities for the people of Haiti now. Once those needs are met, the Red Cross will be part of a group of agencies that will plan for long-term needs, similar to the approach taken for those affected by the Indian Ocean tsunami in December 2004. Reconstruction and recovery in Haiti will take years, and many of the programs that were implemented in tsunami-affected countries may be useful when rebuilding the Port-au-Prince region of Haiti. After the 2004 tsunami, the American Red Cross focused its long-term recovery on six key areas: water and sanitation, psychosocial support, health, shelter, livelihoods and disaster preparedness. Five years later, villages teem with activity, classrooms are full of students and marketplaces are alive with business. Through more than 80 relief and recovery projects, the Red Cross helped more than 4 million people who were affected by the tsunami. More than 16,200 temporary and permanent houses were built. Nearly 200,000 people have improved access to clean water and more than 91,000 people received loans, livelihood resources or job training. The role of the American Red Cross in an international disaster response differs significantly from its role in domestic disasters. In an international event, the Red Cross offers services in conjunction with the other societies within the Red Cross network, which currently spans 186 countries. When the Red Cross responds domestically, relief supplies can be delivered to the affected areas quickly and without bureaucratic clearances. This is not necessarily the case internationally, where there are sometimes bureaucratic obstacles and customs delays. In spite of these differences, to date, the American Red Cross has spent or committed more than $67 million to meet the most urgent needs of earthquake survivors. This includes a recent commitment of $30 million to the UN World Food Programme to support their effort to feed 1 million people in Haiti for a month. Red Cross relief supplies continue to arrive, although significant bottlenecks remain that have held up relief. Family-sized tents with tarps, ropes, and construction tools are being distributed with relief partners like the International Organization for Migration (IOM). The Red Cross is also distributing hygiene kits, water purification tablets and blankets. Creole-speaking volunteers are on board the hospital ship, the USNS Comfort, to serve as interpreters for Haitian patients receiving medical care from the U.S. military. At the request of the Pan American Health Organization (PAHO), the Red Cross has also shipped blood and blood products into Haiti and is coordinating future PAHO orders for Haiti with other agencies that collect blood donations in the United States. Prior to the quake, the American Red Cross was on the ground in Haiti, running several programs in conjunction with the Haitian National Red Cross Society. One program includes efforts to reduce deaths attributed to malaria and malnutrition; distribute mosquito netting; and provide nutrition, food preparation and breast-feeding trainings at the household level. Another program trained national society employees and volunteers on how to prepare for and respond to disasters. A third program worked to provide HIV prevention messaging and skills to young people between the ages of 10 and 24. Because of the generosity of donors, people in Haiti will receive more than immediate relief; they will receive resources, support and training from the Red Cross that will help them recover and rebuild for years to come.